Majestic Mount-Ham overlooks the region at a height of 713 metres. 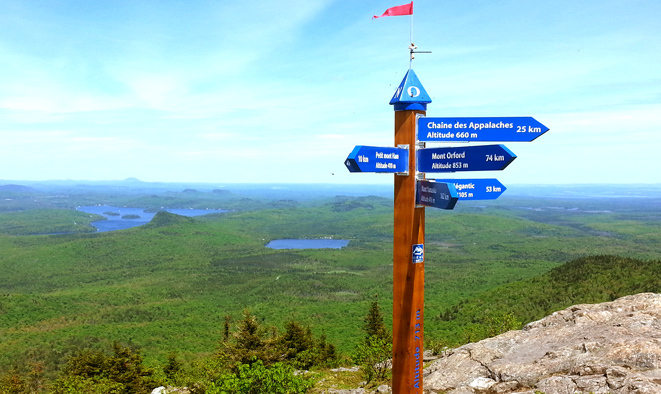 Hikers who reach the top are rewarded with an amazing panoramic view of the Eastern Townships. With marked trails that total 21 km, lovers of the great outdoors can choose among several hiking options, each with its own level of difficulty. So beginners and experts alike can enjoy this beautiful mountain. With family or friends, try one of the only forest disc golf courses in Quebec (9 holes). Want to spend a day with the kids? Organize a treasure hunt in the woods and try to find the numerous geocaches hidden away in the trails. Rustic nature accommodations are AVAILABLE YEAR-ROUND! Experience a night in one of our three log cabins that can accommodate two to six people, or spend the night in one of our prospector tents that can fit 10 people. Every accommodation site is equipped with a wood stove and the price includes breakfast. 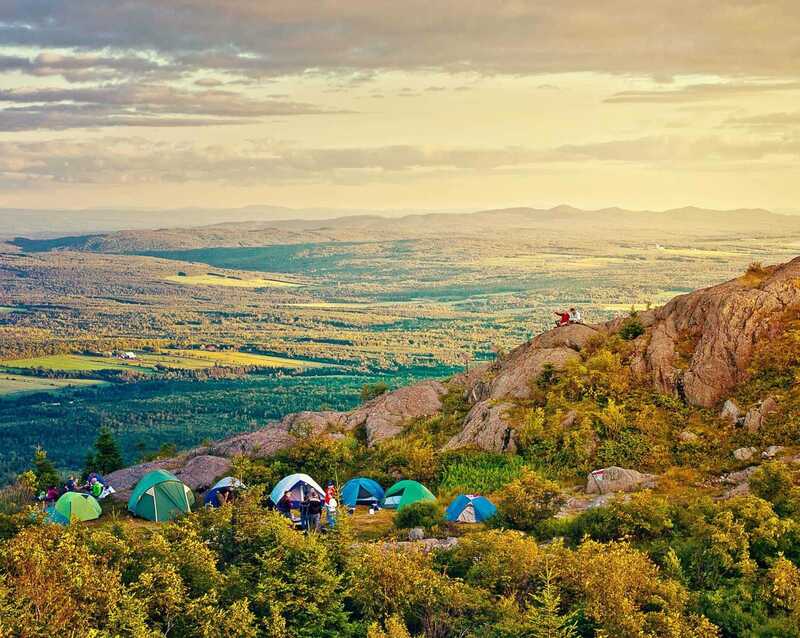 Camping du Parc régional is also open year-round. During the winter, explore 6,4 km of cross-country ski trails or hike up to the summit on snowshoes! At the base of a mountain is a welcome centre where you’ll find several facilities: restaurant, bar, concession stand, equipment rental, restrooms, play area for kids, picnic area, and a 1 km forest obstacle course. Experience the beauty of the mountain with the Summit Drive! The road between Mount Mégantic and Mount Ham offers amazing views and activities, whether you are driving, on a motorcycle, on foot, or on a bike!